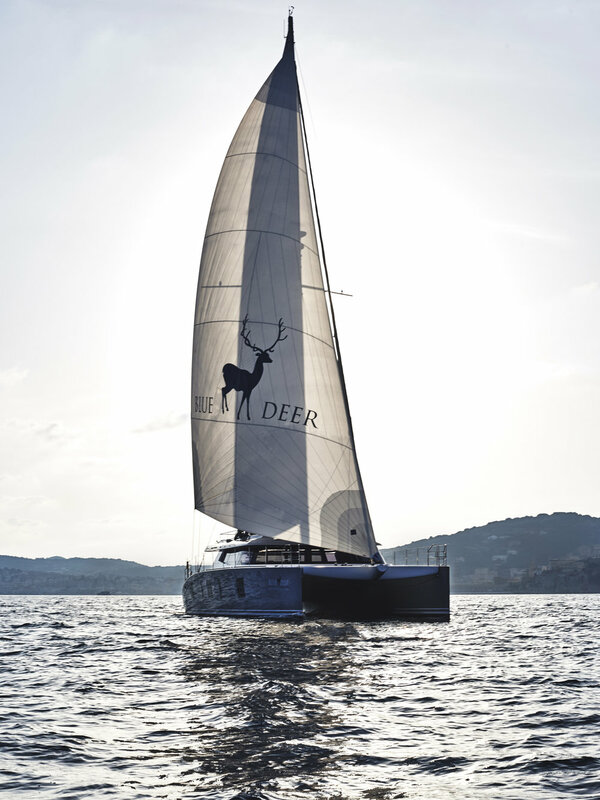 A sleek catamaran ideal for sailing in style, Blue Deer is also known as San Lorenzo Sea Lodge – the ocean counterpart to her Italian owners’ exquisite Dolomites private retreat, San Lorenzo Mountain Lodge. Blue Deer was launched by the Sunreef Yachts shipyard, recognised as the leader in custom-made catamaran manufacturing, and this yacht is dedicated to elegant charter cruises in the Mediterranean, including the Pontine Islands, the Amalfi Coast, the Gulf of Naples, the Eolian Islands, Sardinia and Sicily. 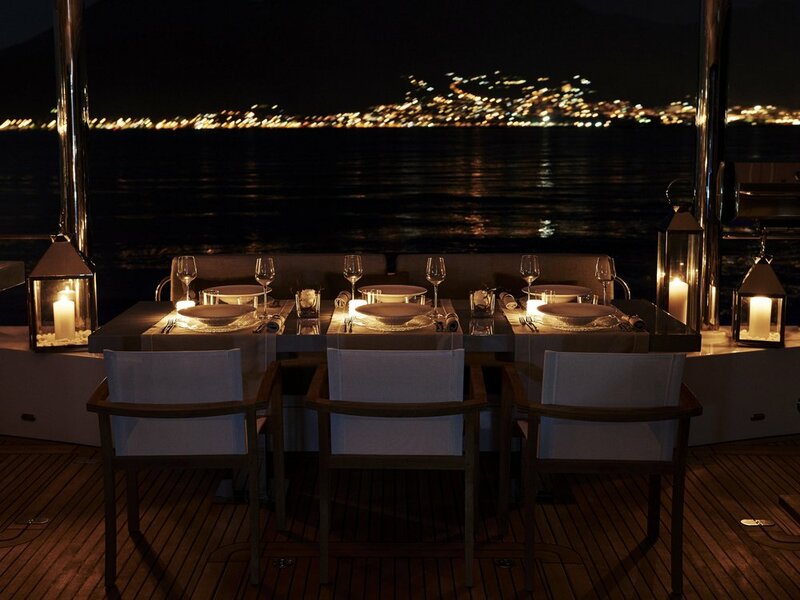 The yacht is a manifestation of the finest Italian taste and passion for sublime luxury, with her interior and exterior design expressing sophisticated style envisioned by the owners Giorgia and Stefano Barbini, who worked with Sunreef’s in-house designers to select fabrics and materials of the highest quality for upholstery and furniture. Blue Deer accommodates 8 + 2 guests in four separate spaces in the hulls, including two deluxe cabins and two VIP cabins. The two VIP cabins are equipped with comfortable king-size beds, wardrobes and retractable TV’s. They are furnished with 100% pure Italian linen, while the colour scheme reflects the colours of the Mediterranean and the Caribbean Sea, as well as the blue sky in a medley of deep blue, aquamarine and white. Thanks to spacious windows guests can wake up to the morning sun streaming in and go to sleep under starlight. The two deluxe guest cabins comprise two single (convertible) beds and a bunk bed to the wall that is ideal for children. Their design reflects the theme of the VIP cabins, incorporating shades of blue and aquamarine alongside gray and silver. Each room has its own ensuite spacious bathroom in gray Lava Rock. Inside, Blue Deer’s open saloon offers panoramic views with a comfortable U- shape sofa set with a foldable table and a sliding TV emerging from the kitchen countertop. 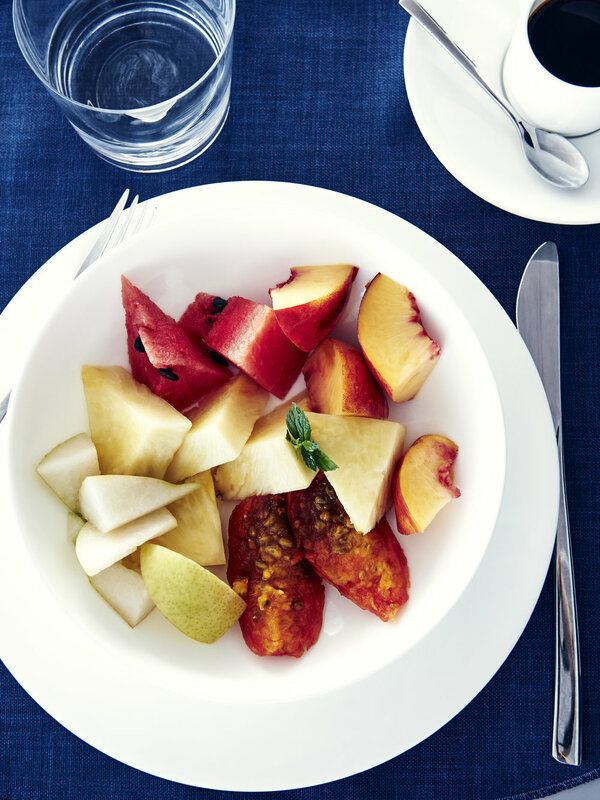 Additionally, there is a galley up arrangement in which preparation of the most delicious specialties for guests will be expertly executed by the chef. Food and other goods can be placed in the storage room, at the lower starboard hull equipped with heavier electronic appliances such as a prosciutto slicer, freezers and refrigerators. The interior navigation station is spread across 35 square metres. 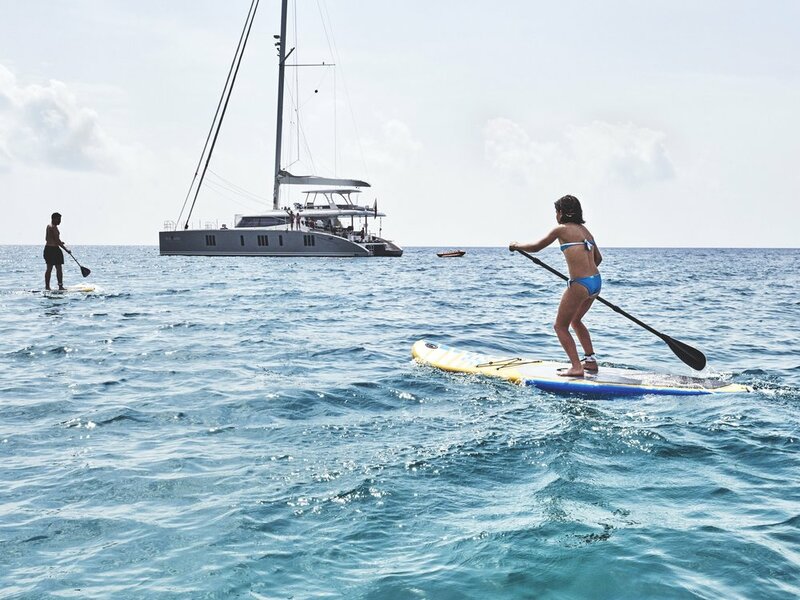 With her spacious layout, this stylish catamaran was designed to cater perfectly to guests seeking the highest standards combined with excellent hospitality. The sailing catamaran can be seen as the ideal getaway from busy life. 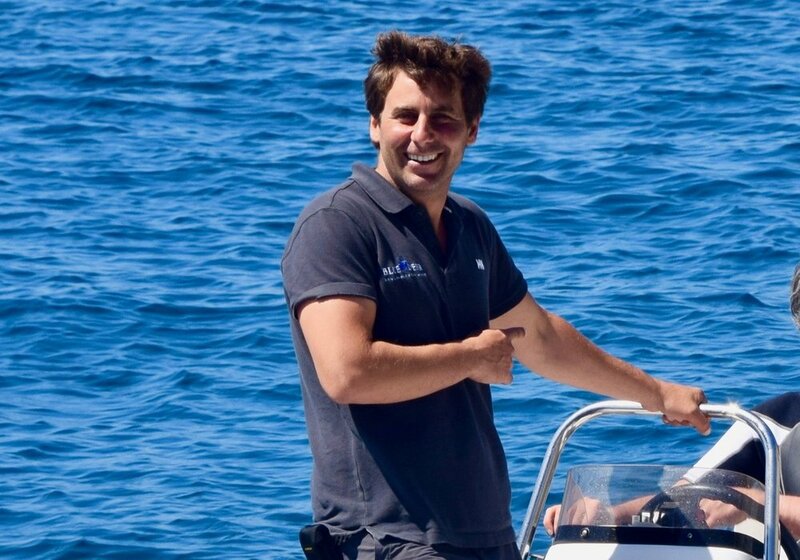 Blue Deer is a wonderful option for family and friends cruises, where wellbeing, comfort and decadence blend for the ultimate luxury yacht charter. Blue Deer was built in 2016 and spans 22.5m with a draft of 2.2m. 4 cabins accommodate up to ten guests.